i just heard that is graduated from C-ute and left hello pro altogether to return to ordinary life. I'm a bit sad to hear it but u gotta respect her wishes. She is probably on of the first C-ute and Hello Pro Kids that i actually notice. I just sad when things like this happens, but hopefully for the better. Anyway good luck. To the Queen B of the C-utie Queens, we miss you! im so excited about c-ute before because of her. i was so sad knowing that she wanted to leave HP that time. I really hope you're having a great day! 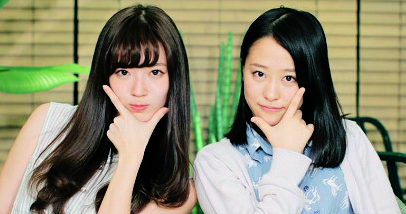 HAPPY BIRTHDAY MEGUMI I really miss you in C-ute! it's her birthday? Aww... HAPPY BIRTHDAY, MEGUMI! She was the first one from C-ute or H!P Kids that i really noticed. I missed her. One year has passed since Megu left H!P. Lots of memories now. That day, I listened to nothing but C-ute. Even though it's been a year, I still miss her. She had a great voice and tons of potential. I wonder how °C-ute would have been if she had stayed.